Update: See our post on problems with the TOEFL in the U.K.
Do you like to eat out or eat at home? Are parents good teachers of their children? Which is more important to success – hard work or luck? While these questions may seem random and unrelated at first glance, they may become very important to some of you as essay topics for the TOEFL (Test of English as a Foreign Language). LL.M. applicants from non-English speaking countries applying to law schools in the U.S., U.K., Canada, or Australia will normally have to show, as part of their LL.M. application, that they possess the necessary English language proficiency to follow an LL.M. program. While there are other language tests that are accepted, the TOEFL is the most popular among law schools in North America. The TOEFL is offered by the Educational Testing Service (ETS) at locations around the world. Test center locations and dates on which candidates can take the TOEFL can be found here. 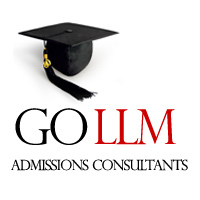 If you are applying to an LL.M. this fall, you should sign-up as soon as possible. Moreover, if you are using the LLM Credential Assembly Service, make sure to remember to have ETS forward a copy of your TOEFL score report to LSAC (their institution code is 8395). There are two formats for the TOEFL test – paper or internet. While the format depends on the location of the test center, most LL.M. applicants will take the internet-based TOEFL test (TOEFL iBT). For those centers that do not have internet access, a paper-based test (TOEFL PBT) may be offered. 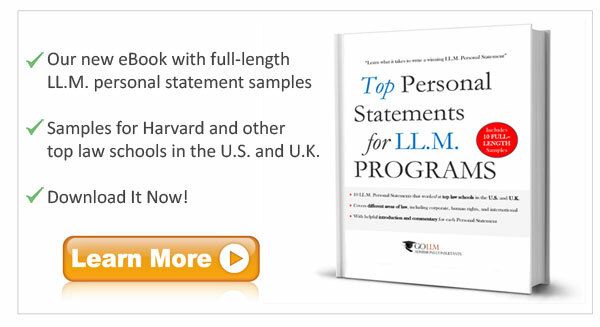 Minimum TOEFL test score requirements differ for each LL.M. program. For example, Harvard requires a minimum score of 100 on the internet-based test (with a minimum score of 25 on each subsection), Columbia requires a 105 overall score (with a minimum of 26 on the Reading and Listening sections and 24 on the Speaking and Writing sections), UCLA requires an overall score of 96, and LSE demands a score of 109 (with minimum scores of 24 for the Listening and Writing sections, 18 for the Reading section, and 20 for the Speaking section). However, since these are minimum requirements, it is of course to your advantage to score higher. While ETS itself offers a number of resources, including sample questions, that can be used to help prepare for the TOEFL, test takers should also consider using additional study aids, such as those offered by Barron’s or Kaplan. Moreover, there are a number of free resources available on the internet, such as this helpful review of the best TOEFL books and TOEFL comparison chart. Finally, for those who are inspired by a class setting, there are providers that offer in-person TOEFL test preparation courses. Alternatively, there are also options to enroll in a TOEFL online course. So prepare, prepare, prepare to ensure success on the TOEFL and break a leg!